Originating in New York City in 1992, Restaurant Week has become an annual event celebrated by diners and restaurateurs alike. With over 70 cities participating, Restaurant Week has grown tremendously over the years. Kicking off their own Restaurant Week, 78 restaurants in the Baltimore area will offer discount prices on special prix fixe menus from July 22nd to the 31st. 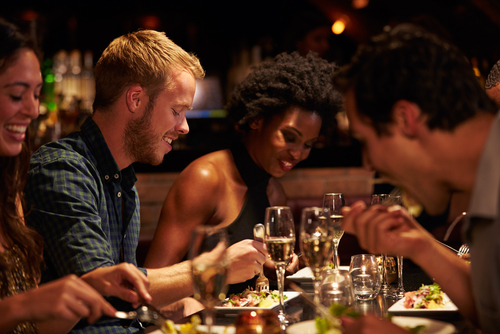 This event is a strong way for restaurants to capture new customers with the hope that a meal during restaurant week will turn into a loyal diner. The cost of lunch at participating restaurants varies between $15 and $20 and the cost for dinner is between $30 and $35. Due to the popularity of this event, diners are encouraged to make reservations prior to visiting the restaurant to guarantee a table during Restaurant Week. Diners can easily do so over the phone or through reservation sites such as OpenTable. Serving up Italian cuisine comprised of ingredients from local ranchers, farmers, and watermen, this place is known for their vibrant atmosphere and artisan pizza. Check out their Restaurant Week menu here. Known for their outdoor space and fine dining twist on every day comfort food, Bond Street Social was voted one of the top 100 hottest restaurant bars in the country by OpenTable in 2013. Check out their menu here. Located in a former firehouse, Brew House No. 16 is a gastropub that doubles as a microbrewery, serving both American and International beers. Check out their Restaurant Week menu here. Offering an original menu centered on American comfort food, City Cafe offers a multitude of tastes in a modern setting. Serving lunch and dinner courses during Restaurant Week, check out the menu here. Partnering with local ranchers, farmers, and watermen, Encantada serves modern American food in a space located in the American Visionary Art Museum. Serving brunch, lunch and dinner, check out their menus here. Specializing in Italian cuisine and serving their dishes family style, Germano’s Piattini offers more than just food; they also host dinner shows and cabaret in the upstairs part of the restaurant. Check out their Restaurant Week menu here. Learn more about how SinglePlatform helps restaurants get discovered online.